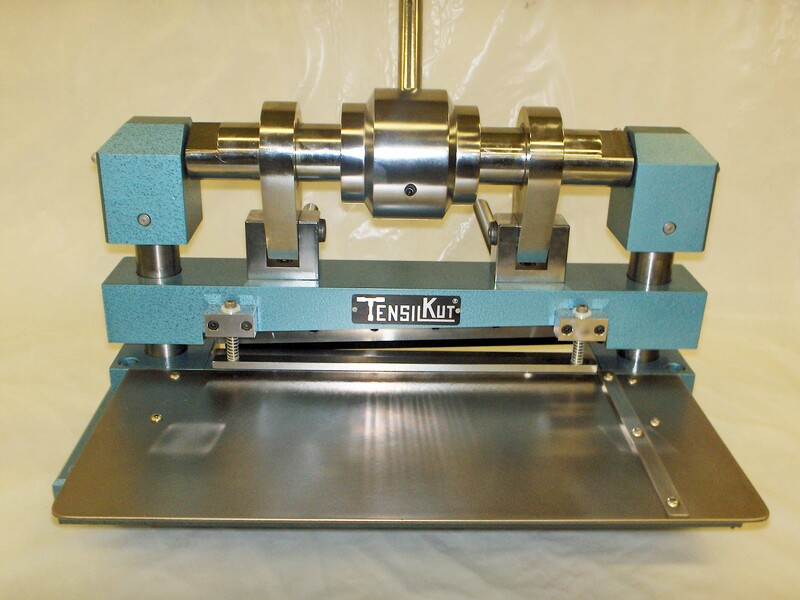 Tensilshear is a rugged hand shear designed specifically to cut straight strips from sheets of metal. 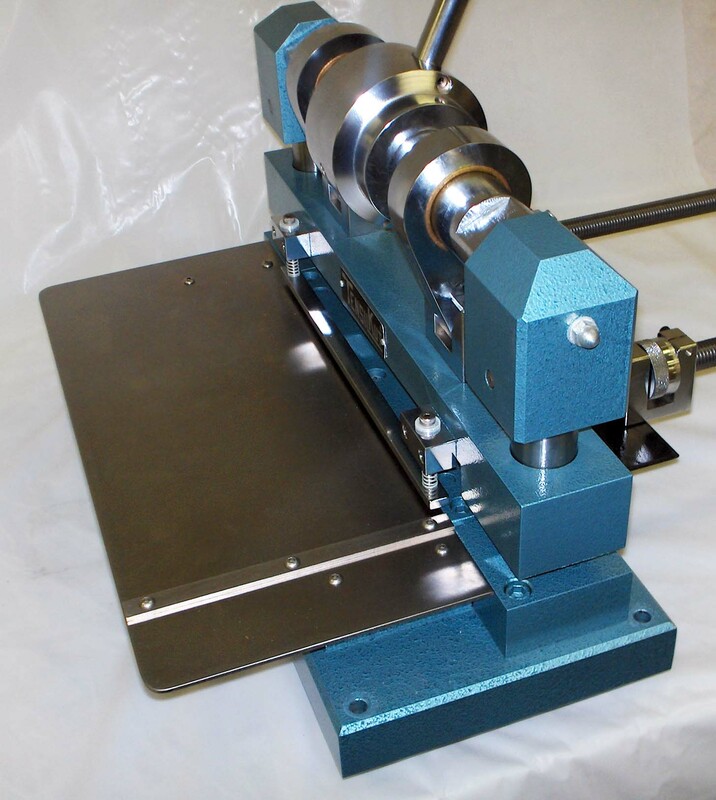 Strips can rapidly be sheared from sheets of light foil, steel up to 1/16″ thick, or aluminum up to 1/8″ thick. These strips can then be inserted into templates for the Tensilkut I or Tensilkut II, and cut into tensile specimens. Other applications include preparing blanks for paint, corrosion or similar tests. The hardened blade on the Tensilshear ensures smooth, burr-free strips. Micrometer gauges at the back enable the user to set the strip width accurately to best suit his needs. Leave a comment or email for more information. This entry was posted on October 22, 2013 at 6:03 pm and is filed under straight strips, Tensilshear. You can follow any responses to this entry through the RSS 2.0 feed. You can leave a response, or trackback from your own site.